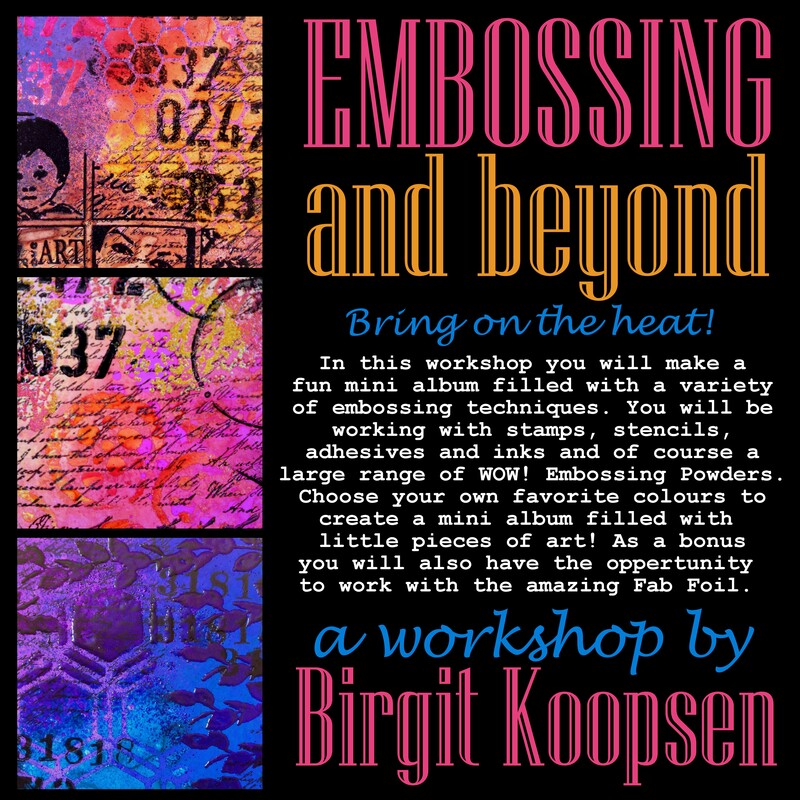 Don’t forget to sign up for Birgit’s and my Artfusion Event in The Netherlands! The Early Bird Offer runs out on May 15, 2013 . We have only three more spaces available for the whole weekend and a couple more for the sunday workshops. Here is the info again! 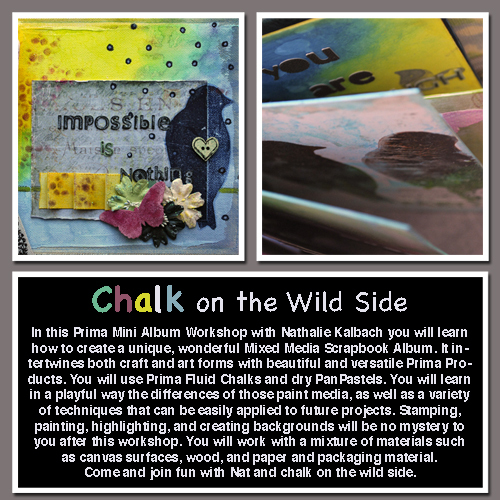 In this Workshop with Nathalie Kalbach, you will create a stunning and unique canvas that will be a wonderful home décor item. Learn how to create dimension and texture with tissue paper, items of daily life, acrylic paint, lace, burlap, and gesso. Learn how to reveal the interesting and eye-catching texture with acrylic paints and acrylic inks and add some fun stamping techniques on top. We will be adding lots of layers and dimension to make this a spring, summer, fall or winter canvas… just as you like. All the techniques can easily be applied to future projects. On Saturday evening we also have a room available for those of you who just can’t stop and want to crop for a couple of hours. 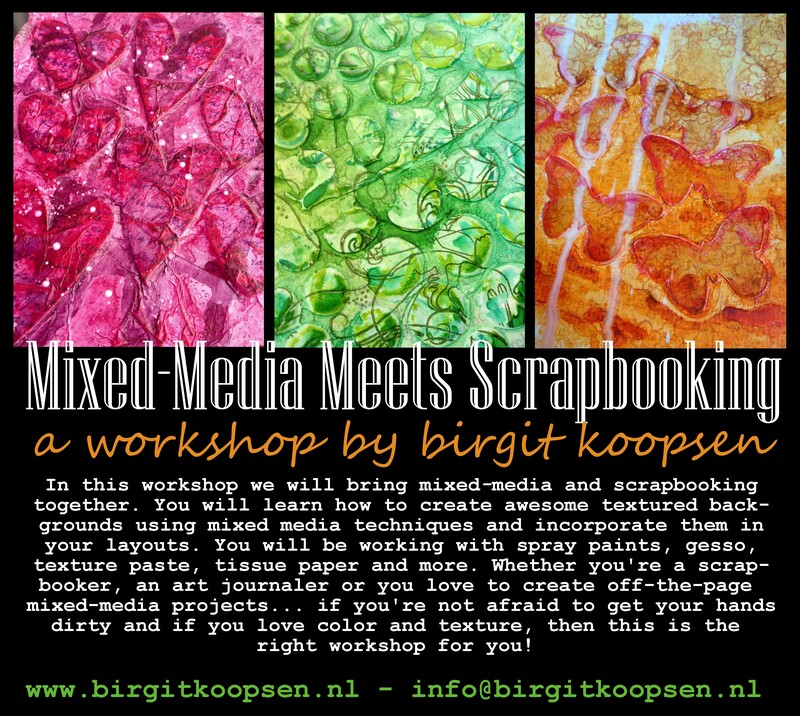 You can sign up by emailing Birgit to info@birgitkoopsen.nl She will sent you the information and the requirements. Until upon payment you are on a waiting list. Your space is secured once your payment was received.